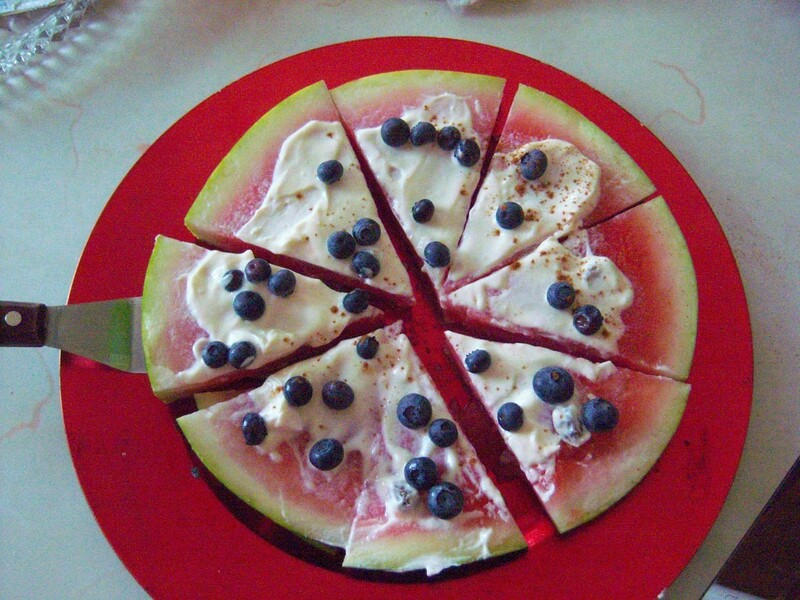 A fun dessert or party treat that looks like pizza but is sweet! Optional: nuts or seeds if desired! Cinnamon sprinkled too! 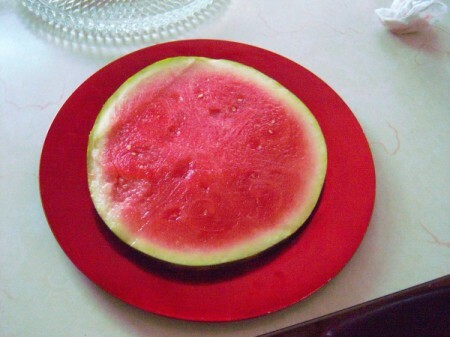 Cut the watermelon into 1" slices, maintaining circular shape. 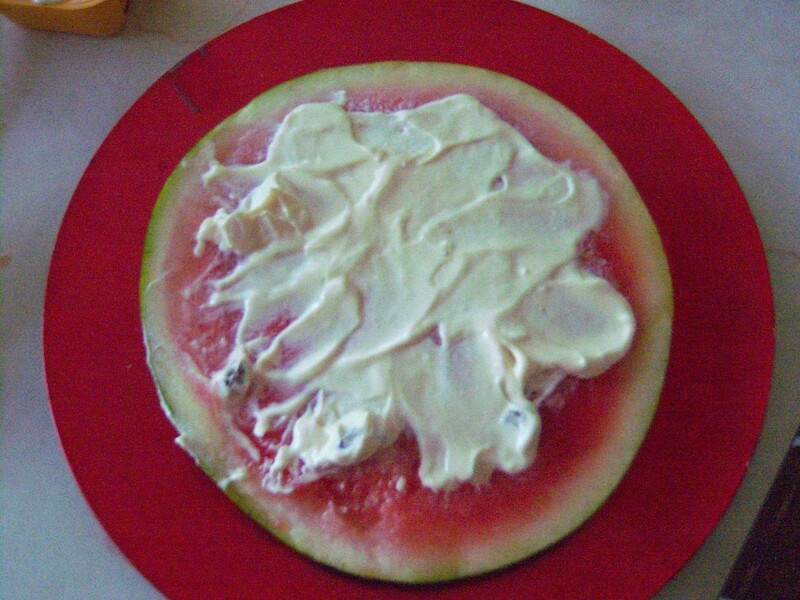 Spread vanilla or your favorite flavored of yogurt or kefir on a watermelon slice as shown. Get creative and add your favorite toppings like blueberries, strawberries, kiwi, mango, bananas. 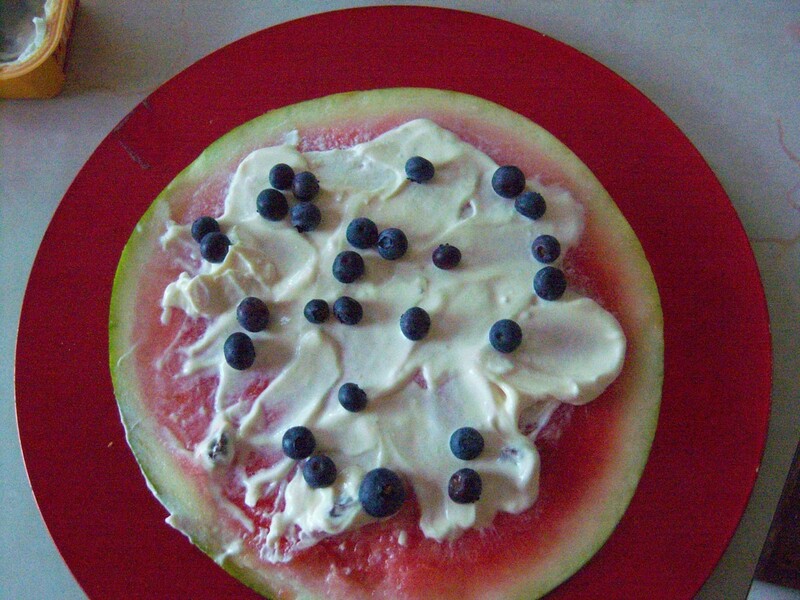 I ended up adding the nuts and granola that came with one of my yogurts too. Sprinkle with cinnamon if you like the taste. 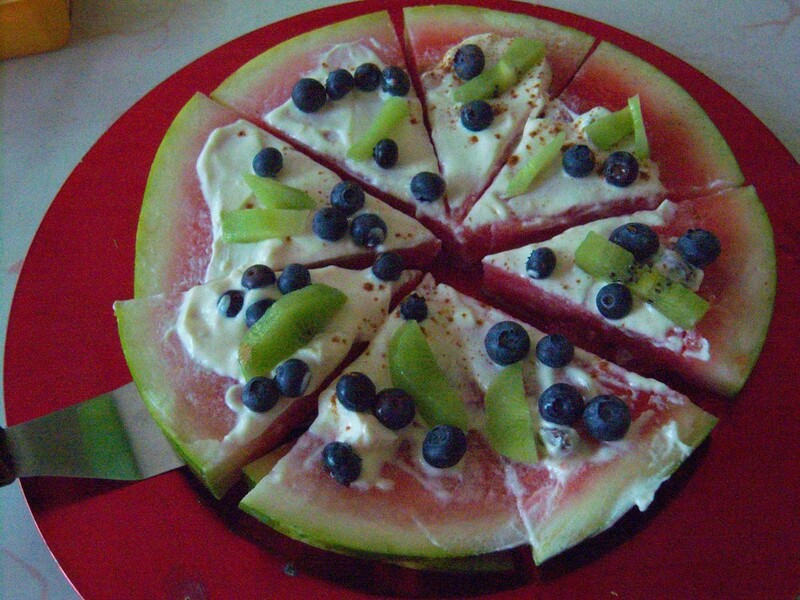 Cut up like a pizza and serve! 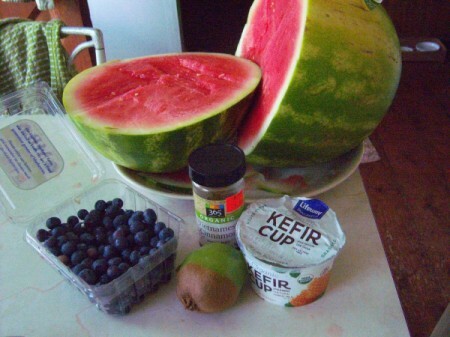 Cute and healthy. Love it!